It is priced at $129.99 with a new two-year contract. Alternatively, you can get it through an installment plan, in which case you shell out nothing upfront, followed by 24 monthly payments of $10.50. There’s no possibility to purchase the G Pad F 8.0 on a prepaid basis (at least not yet). 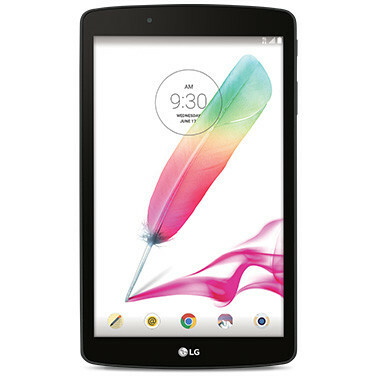 The tablet comes with a stylus, Android 5.0 Lollipop preinstalled, 4G LTE data connectivity, as well as Wi-Fi. It has an 8-inch 1,280×800 IPS touchscreen, a 1.2 GHz quad-core processor from Qualcomm, 1GB of RAM, 16GB of expandable storage, a 5 MP rear camera, a 2 MP front-facing camera, and a 4,200 mAh battery.